The EEF have produced a guidance report to support head teachers and senior leaders to make better-informed decisions based on the best available evidence they currently have. It offers 4 clear and actionable recommendations to improve how technology is used In your setting, particularly for disadvantaged pupils. Over 90% of inspected schools are now Good or better (as of March 2019) compared to just over 68% five years ago. Whilst still below national averages: Key Stage 2 progress scores have improved in Reading and Maths; and at Key Stage 4 the Progress 8 score has continued to improve (-0.13 in 2017) and a LA ranking of 105th compared to 126th in 2016 (click here for performance measures). To make the step change that is needed to improve standards and accelerate the progress of our pupils, will require a collaborative approach whereby all schools (irrespective of whether they are part of a Multi Academy Trust or remain as a LA Maintained school) continue to work together under the auspices of the Portsmouth Education Partnership (PEP) to maximise the resources available, draw on system leadership capacity across the city, and share best practice and pool expertise. To this end, the PEP has embarked on a collaborative programme of school improvement which is led by the PEP School Improvement Board and supported by the Portsmouth Teaching School Alliance. The programme embeds shared values and builds on the historically strong relationships between the Local Authority and the education sector in Portsmouth, supplementing, without duplicating, work within MATs and Teaching Schools. The PEP is establishing clear and accountable arrangements to support sector-led school improvement and capitalise on potential economies of scale. It is providing a structure to support the transition from Local Authority to sector-led school improvement arrangements. The Local Authority will continue to deliver its statutory duties in relation to school improvement so long as they continue to exist but in the context of a move to a schools led self-improving system supported by effective system leaders and curriculum/subject networks and continuing professional development (CPD) which encourages school to school support and local and external peer review. The School Improvement Board has led on the development of a PEP Performance Dashboard (showing an overview for Portsmouth LA area) underpinned by a set of data based criteria which schools can use, alongside other tools, to help assess where their strengths and areas of development might be compared to national benchmarks for academic outcomes. The dashboard is also being used to inform the prioritisation of support from the Local Authority in terms of LA Maintained schools, the delivery of which has been outsourced to the Portsmouth Teaching School Alliance. The Dashboard is also informing annual discussions the LA has with MATs and the RSC about the performance of academies in the city. The Strategic School Improvement Fund (SSIF) was a national fund targeted resources at those schools that most needed to improve school performance and pupil attainment. The fund supported medium to long term sustainable activities across groups of schools. The SSIF is now closed after 3 bidding rounds were held during the course of 2017-18. Through the Portsmouth Education Partnership’s School Improvement Board, two successful collaborative bids were developed and approved in Rounds 1 and 2. The first project focusses on improving the outcomes for disadvantaged children and young people and has been delivered through the Challenge the Gap Programme, led by the Portsmouth Teaching School Alliance with National Leaders of Education. £200,000 was secured to support 18 schools in the city (3 clusters). The project commenced in September 2017 and ended in July 2018. A presentation upon Challenge the Gap in Portsmouth can be found here. For examples of the impact of Challenge the Gap, please see these Case Studies from Craneswater School and The Flying Bull Academy. A conference will be held on 9th October 2018 at the Portsmouth Marriott Hotel to go through the project, what was achieved and the impact it has had. The second project focuses on improving the outcomes of children and young people in mainstream schools who are on SEN Support and has been led by the Portsmouth Teaching School Alliance and . A further £200,000 was secured to run this project and initially involved 18 schools. A further 5 schools have now become involved. The project commenced in January 2018 and will be completed in the Spring 2019. Further details can be found here. A conference will be held on 8th November 2018 at the Village Hotel, Portsmouth, to disseminate the findings and best practice. The Portsmouth Teaching School Alliance is committed to raising standards and improving the outcomes for the young people of Portsmouth. 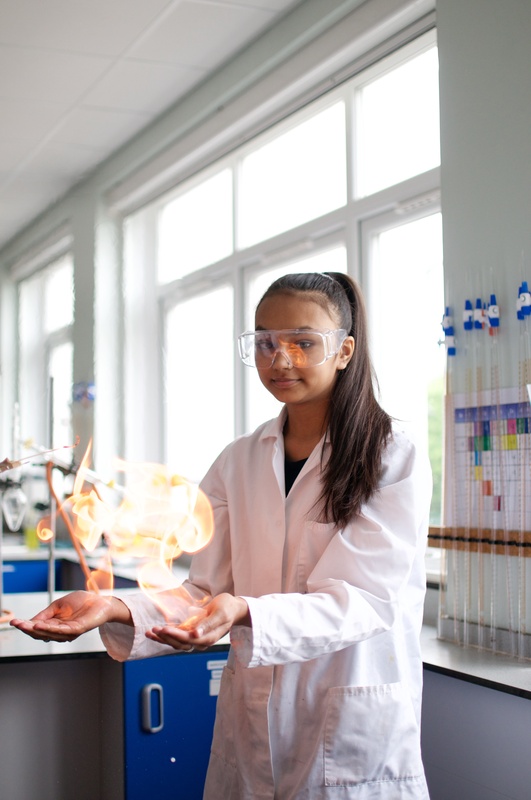 The Portsmouth TSA’s range of programmes offer the very best in professional development for all staff at all career stages in primary, secondary, mainstream and specialist schools. The Portsmouth Challenge the Gap programme was commissioned by the Portsmouth Education Partnership as a school improvement initiative focussing on raising the attainment of disadvantaged pupils. The project aimed to show impact for pupils in both academic areas and non-academic areas such as attitudes and attendance. Eighteen schools, including primary, secondary and special, took part in a programme across the academic year 2017/18, which involved staff attendance at 6 training workshops, the development of a targeted project in school and school visits from the workshop leaders. 120 primary pupils and 86 secondary students were involved initially in the projects across the city schools (approximately 10-15 target students per school). For further information, take a look at the Challenge the Gap Summary for Governors and Headteachers here. A presentation upon Challenge the Gap in Portsmouth can be found here. The Challenge Partners (CP) Hub in Portsmouth continues to be expanded. CP supports in-depth reviews of schools through this nationally recognised programme of peer challenge and support. The PEP School Improvement Board has developed a School Support Directory which gives details of local system leaders (e.g. National, Specialist and Local Leaders of Excellence (NLEs, SLEs, LLEs) and National Leaders of Governance (NLGs). This will be extended under the work of the PEP and will provide case studies showing the work of system leaders and the impact on raising standards in Portsmouth’s schools. “For the past two years I have undertaken the role of SLE for Portsmouth and the South East, specialising in curriculum, P4C, music and parenting support. During this time, I have completed rigorous core training within the area of coaching which has enabled me to complete support work in various schools by building relationships based on a mutual and collective responsibility within the wider community. I recently supported a Year 3 Leader in a Junior School, in developing effective learning environments across the year group, therefore helping to create high quality learning environments in order to raise attainment. During last year I helped support a year two team in another local school, where I systematically monitored, evaluated and reviewed classroom practice and offered effective strategies to promote rapid improvement. “As part of the SLE role we can offer Inset, staff meetings and training. Recently, in our SLE role, we put on training for Greater Depth Reading at KS2. It was a well-attended course and the schools that attended achieved good outcomes for reading at the end of KS2 this year. The course’s aims were: to develop a deeper understanding of the eight reading domains; to be able to equip schools with question stems and resources for each of these areas and to provide useful and engaging activities and resources to use in the classroom. Attendees were also given the opportunity to explore barriers to reading as well as reviewing reading structures and routines currently used within their schools. The course was an opportunity to make sure that teachers and leaders had time to unpick current research, share good practise and to think about future practice in their schools for maximum impact in reading. The course evaluations were very positive. “A recent project I have led in school was part of a focus on improving the teaching and learning of maths. 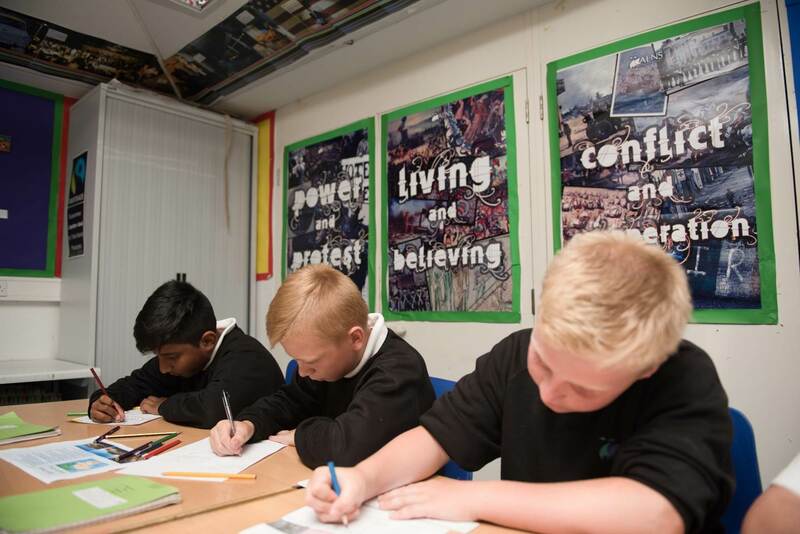 The piece of work was driven through data analysis, which took place alongside the school’s assessment manager, following the KS1 and KS2 statutory tests. The data analysis showed clearly the areas of strength in maths teaching and the areas that needed to be developed. The area that was a weakness in both KS1 and KS2 was fractions and this had also been identified as an area of concern when the SLT had conducted work and planning scrutinies. CPD sessions were delivered to all year groups (Year 1 – 6) focusing on fractions subject knowledge. During these sessions there was a focus on the subject knowledge required to teach fractions in each specific year group and the progression of fractions through the primary curriculum. Following straight on from these sessions, I spent time with each team planning a unit of work that was based around fractions. After the half term break I then returned to complete observations of the fractions lessons alongside other SLT members. Individual feedback was provided for all teachers with ‘what went well’ and ‘even better ifs’ and then a coaching plan put in place for all teachers to continue to develop their pedagogy. All of the individual feedback was then collated to give an overview of the strengths in the teaching seen and the areas of development which then need to be added into the maths action plan. “Deep mathematical understanding requires children to notice and exploit key relationships and structures in order to produce beautiful solutions to complex, non-routine problems. However, this is not an easy task to achieve! S-Planning is about developing a comprehensive, detailed conceptual journey that makes explicit connections between areas of mathematics to build mini-mathematicians from early years onwards. The other vital aspect is that these journeys are not planned alone. Collaboration happens both within and across year groups. The discussion between teaching staff around the choice of representations they will use and the incremental steps in learning is highly important. It allows staff to share experience and subject knowledge. S Planning begins by drawing a large S on a page which represents the journey that the children will take. This journey could take a week, or a month, this becomes dependent on the steps needed to achieve the end goal. Teaching staff then spend time discussing the start point, and the incremental steps in learning that they need to guide the children through. No step is too small! At each point, we thought about the representations that would support the concept, the difficult points that would be crucial to achieve before moving on, how we could support children in going deeper and the explicit connections that would be made along the way. Throughout the whole journey, stem sentences are incorporated as key markers, what do want the children to be able to say at each point in their learning? The teaching staff at Milton Park Primary are now reviewing their first attempt at S Planning. We will spend a staff meeting discussing what went well, and what we have learnt from the first journey in order to plan an even better journey next time. Milton Park Primary has shown a huge commitment to ensuring that all the children are exposed to a mathematical journey that is supporting them to become life-long mathematicians. “Over 13 years I have taught French and PE in Secondary schools and now teach both subjects in a Primary setting as well as being a class teacher. In various roles, I have been responsible for assessment, data analysis, tracking, training of staff, health and safety and the coaching and mentoring of staff both new to the profession and those with more experience. In my current school role, I work alongside other class teachers modelling lessons as a form of CPD. I see the SLE role as an opportunity to make a difference in more than one school by empowering people to implement effective and sustainable changes to enhance teaching and learning. developing the skills of the subject leadership, with modern foreign languages as the focus. coaching colleagues in the audit of existing provision and building the confidence of subject leaders. facilitating the generation of an action plan. creating an overview of learning that links with the whole school overview. creating mid-term planning, outlining the key areas to be taught each half term. creating assessment strands to be used with each year group that feed into current KS3 assessment strands. providing consultative support for monitoring the action plan, measuring impact and supporting sustainability when the initial support phase ends. As an SLE, I also hold local hub meetings at my school where we share good practice and invite speakers in to deliver CPD. I have delivered various sessions at a number of conferences across the city, mainly based on transition and assessment in MFL. “Commissioned as part of the Portsmouth Early Language Programme, this was training provided for leaders and aspiring leaders of pre-school settings with an emphasis on the content being driven by the needs of the pre-schools involved. We worked in partnership with the University of Chichester to be able to offer certification to the practitioners taking part. This would provide them with credits towards a Foundation Degree. Standards for this certification were developed and agreed by us and the University. A pre course questionnaire sent to pre-school leaders provided information about their perceived strengths and their biggest challenges and these were used to plan the foci of the sessions. The format of the course alternated formal training sessions on topics like ‘Prioritising’, ‘Difficult Conversations’ and ‘Measuring Impact and Implementing Change’ with planned visits to other pre-schools. Attendees were required to keep Setting Visit Records, evidence of work completed in formal sessions and reflective work completed in their own setting against the agreed standards. “To create the love of reading and to practise the skills needed to access a highly demanding reading curriculum, we have been working on our own unique reading structure to fulfil these needs. We make sure that the reading links in with the writing to ensure children are applying skills which also enable children to study the text s used to stimulate writing in more detail or study another text of the same genre/author. On each Monday and Tuesday the children will look at the text as a whole and carry out drama, drawing and creative activities to get to immerse themselves in the text. On Wednesday and Thursday children analyse the text, answering inference questions and using PEE to structure answers. This is again done in a fun context through ‘Prove It’ statement games and court room scenarios. Friday is the highlight of the week for the children. They carry out a ‘Big Quiz.’ The teachers have microphones, music and wear silly hats. The children answer questions on the text as well as carrying out a speed reading and a reading with expression round. The pupils are unaware that it is an assessment! “The school’s Ofsted inspection identified that to raise teaching and pupils’ achievement to outstanding in the EYFS, staff needed to plan the activities for children to choose more thoroughly so that adults working with them could stretch their learning more effectively. Over two terms, the Specialist Leader of Education (SLE) worked with the EYFS Leader and Year R team to review current resourcing and practice and implement changes to improve the quality and effectiveness of child initiated learning experiences. This focused on developing the continuous provision within the learning environments both inside and outside, to ensure all areas provided good levels of engagement and supported high quality learning opportunities. It also involved developing planning for enhancements to the learning environment so that it provided prompts for adults on how to use the resources to support children to effectively make links in order to progress their learning. “During the autumn term of 2016-17 work began to support the transition process from Key Stage 1 to Key Stage 2 across the Court Lane Schools. Most children who attend Court Lane Infant School move on to attend Court Lane Junior School, therefore transition procedures for this were already in place. The focus; however of the SLE work has been to strengthen this transition process to give children increased confidence when moving to a new key stage. Considering how to adopt shared approaches to learning across years 2 and 3. During the autumn term an action plan was formulated to ensure that the transition work was focussed and timely. In the spring term the Year 2 and 3 Leaders began to collaborate more. Visiting and observing in each of the settings has been crucial in identifying areas to work on. This allowed approaches to learning to be analysed and reviewed. From learning walks and professional dialogue, shared approaches to learning have been agreed, where both year teams have been trialling new things. It was also important to think about this for all abilities and styles of learners. Also during the spring term there was a focus on reading at Greater Depth, as this had been one of the areas identified during the action planning stage. This work involved looking at the structure of guided reading sessions in year 2 and 3 and also thinking about rich texts to use to ensure that pupils continued to be motivated, engaged and developed a love for reading as they moved on. 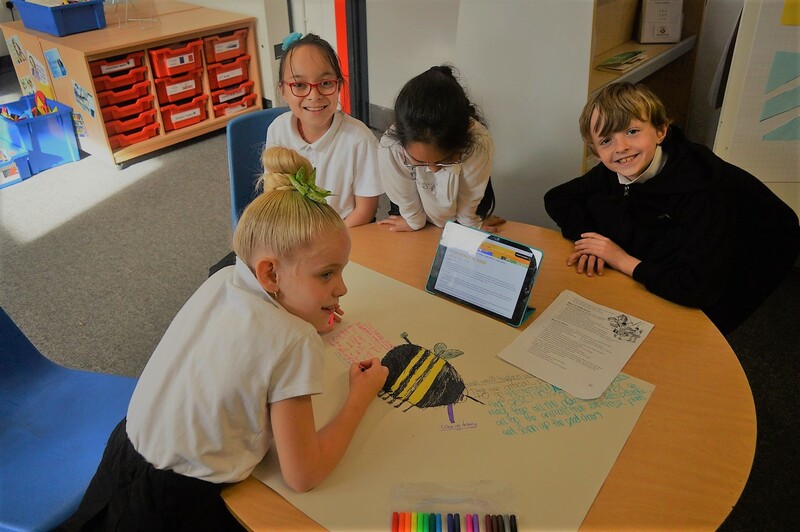 Another success of the work during the spring term was where year 2 pupils regularly visited the Court Lane Junior School site, this included taking part in art work, library activities, Wold Book Day celebrations and working with Year 5 pupils for a story sharing session. The Year 2 and Year 3 teams are currently working together to plan more formal transition visits for the summer term. A transition project is also being planned for pupils to start at the infant school and then continue in September when they begin Year 3; this project is going to involve some home learning to encourage continued support from parents. Joint moderation and standardisation has also begun between both year teams. This process has been beneficial as it has enabled year 3 colleagues to become more familiar with the end of key stage 1 assessment process. It has also enabled quality discussions of how year 2 teachers can support the transition into year 3. This work will continue into the second part of the summer term to ensure that assessment processes continue to be robust and judgements are mutually agreed. The focus on improving outcomes for pupils in our schools also extends to the work of the Virtual School and improving outcomes for children who are looked after whether they be in Portsmouth’s schools or in schools outside of the area (Virtual School Action Plan / Virtual School Annual Report). The Virtual School takes a lead role in ensuring that all children who are looked after, have educational provision that meets their needs and that they receive the support they need to fulfil their potential, removing any barriers and ensuring every child has a Personal Education Plan which is reviewed at least once a term. The Portsmouth Virtual School team comprises a Virtual School Headteacher (VSH) – Tina Henley, a Deputy Headteacher – Victoria Reynish, one senior caseworker – Ashley Edwards, 6 caseworkers – Annette Bradshaw, Lucy Head, Sarah Horne, Sean Kenneally, Michelle Loveday, Sarah Major, and a PAL (Positive Attendance Lead) worker – Kirstie McQuarrie. A data officer from the education team and an administrator completes the team. The VSH is the lead ensuring that arrangements are in place to improve the educational experiences and outcomes of those children and young people who are looked after by Portsmouth. ‘Looked After’ is the legal term for children in care, taken from the Children Act 1989. The Virtual School monitors the educational progress and attendance of all children looked after by Portsmouth providing advice and support to those children and the adults working with them. In particular, the team supports Social Workers, Carers and Designated Teachers in planning for good educational outcomes. The team also provides training and development for a range of stakeholders, Personal Education Plans (PEPs) for children looked after are completed through e-PEP, and an electronic system commissioned by the Portsmouth provided by Welfare Call. Virtual School has no building. Students are enrolled at real schools and remain the responsibility of that school. Virtual Schools exist across the country to help to improve the educational outcome of children and young people who are looked after. support the child/young person, the school and foster carers. challenge the schools to ensure the best possible provision and support is given to the child/young person. ensure that all who work with LAC and care leavers have high educational aspirations for them so that they are given the best opportunities to engage, progress and achieve to their full potential (in and out of the borough, LA schools and academies). The attainment and progress of this group of children continues to be considerably lower than that of their peers. Collect and analyse engagement, progress and achievement data in order to track, monitor, support and challenge. Deliver training to partners: DTs, FC, SW and external partners. High quality and robust termly EPEPs (attending at least 2 per year). Develop and maintain close working relationships and regular contact with our students, carers, social workers, schools and wider agencies. Some of these pupils go to Y10 and 11 in city schools and beyond and older ones go to college. If there is no place for them immediately, EMAS are now running weekly English sessions for them to help these young people gain some skills and socialise whilst an education plan is put in place.